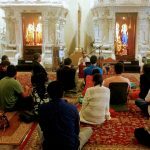 Categories: Bhagavatam Lectures, Krishna, Krishna. 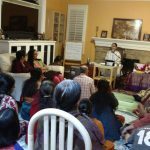 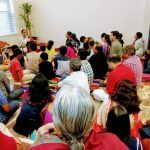 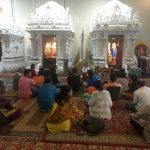 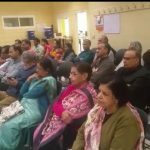 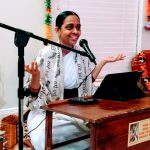 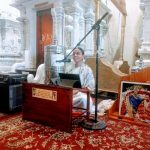 By Sri Swamiji’s compassion, Sri Poornimaji conducted her first ever satsang in Austin during the February 16-18 weekend in 2018. 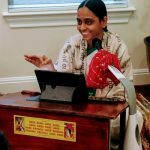 The three day event marked the introduction of Bhagavata Dharma and Nama Sankirtan to more than 100 new people, as they were enthralled by Sri Poornimaji’s heart wrenching exposition of Prahlada, the King of all Bhaktas. 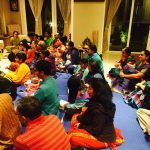 On Day 1 the satsang was conducted at the residence of Smt Aparna ji and Sri Jaydev ji. 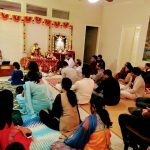 Day 2 was at the residence of Smt Shivani ji, and Sri Suresh ji. 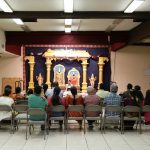 The final day of the lecture was at the Balaji/Sai temple in Cedar Lakes, Austin. 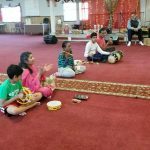 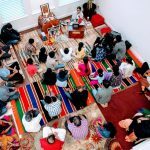 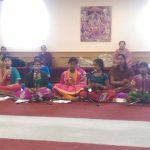 Monthly satsangs have since started in Austin in many new devotees’ houses and GOD promises to keep Austin as a regular spot for future satsangs with nama sankirtan.